Sorry I haven’t written much lately. My family and I just moved from the Netherlands back to Toronto for six months. Busy summer! But here’s a guest post that may be especially valuable for those of us who keep on keeping on. As a Medicare insurance broker, I’ve seen everything under the sun when it comes to healthcare. We’ve had clients who are who are 95 go to the gym every day and take not a single medication. We’ve also had people who are 45, on Medicare early due to disability, taking over 20 medications. There are both acute and chronic health conditions, and of course, there are mental health conditions and substance use disorders. Far more than you might think. In fact, Medicare foots the bill for millions of dollars of substance use treatment every year. It also pays for treatment of depression in the elderly, which is very common. There are many aspects of depression in the elderly such as loneliness and isolation which can lead to addiction. As we age, we have fewer opportunities. Our bodies and sometimes our brains aren’t as functional as they used to be. We might lose our sense of purpose once we retire. We start to lose people we’ve known and/or loved for a long time. Kids grow up and move away, creating a sense of emptiness. We also must shift from actively earning a living to stretching Social Security and savings to last the rest of our lives. My grandmother used to say: “Growing old is for the birds, Dani.” She may have been right. While grief or money woes can cause depression at any stage of life, there are specific factors that make older people who experience depression more vulnerable to addiction, which in turn may be harder to treat. 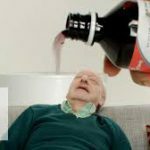 One factor is that it is particularly easy for elderly people to gain access to prescription medications that later become a problem. 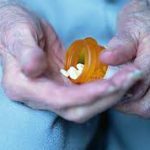 Medicare beneficiaries might begin using pain medication innocently enough, but they can easily become hooked on drugs like opioids for chronic pain or benzodiazepines to treat insomnia or anxiety. Doctors are often willing to prescribe these potentially addictive drugs for sleep problems or for vague aches and pains. They also may not spot a developing addiction because it’s too easy to misdiagnose declining mental ability or a dishevelled appearance as being due to depression or dementia rather than substance use. Because Medicare is not part of a health insurance network managed by an insurance carrier, it’s easier for elderly individuals to “doctor-shop” for more medication than they need. Physicians can’t easily see who else is prescribing the same or similar medications. Drug addiction is especially dangerous because our metabolism slows as we age. Substances take longer to filter through the liver and may build up in the body. This puts older adults at greater risk of dangerous side effects or accidental overdoses. Another factor is the limited social circles of many elderly individuals. Many older adults live in isolation after the death of their spouse, which makes addiction easier to fall into. What used to be a glass of wine after dinner can turn into an evening of drinking away one’s sorrows. Not all of these individuals will have children or younger family members living nearby who see them often enough to spot the problem. Even if they do, they may dismiss the signs because they don’t really think of addiction as being a problem for elderly people. Addicted people may also contribute to this oversight. They may be secretive in their drug or alcohol use. They may feel embarrassed or ashamed of their addiction and go to lengths to hide it. Because no one is aware of the problem, an elderly person may have a harder time climbing out of an addiction. 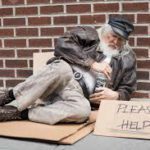 While all of these things point to a greater need to identify substance use disorders in the elderly, there seems to be less urgency to treat them, as if this would be a waste of resources. Indeed, not everyone considers an addiction to be entirely negative. Someone who is living out their last years may prefer to be addicted if this means they are free from physical pain. Yet older adults deserve the option to seek treatment if they want help with a substance use disorder. Just like younger people, they can and do overcome addictions with proper counselling and support. Medicare includes an annual screening for depression and substance misuse or addiction. Speak to the Medicare doctor and request a screening. If risky behaviours are identified, you can ask a physician to make a referral to services. Medicare will cover therapy in an individual or group session as well as treatment in an outpatient clinic. Some cases may require care in an inpatient psychiatric unit or residential treatment center, both of which would be covered by Medicare for up to 190 days in a person’s lifetime. Part A hospital benefits may also cover methadone or Suboxone that you receive during an inpatient stay whereas these medications are unfortunately not covered when prescribed for addiction on an outpatient basis. If the prescribed treatment plan calls for other types of outpatient medications, you’ll want to be enrolled in a Medicare Part D drug plan. All Medicare drug plans include some medications designed to treat addiction, withdrawal symptoms, and depression. To take advantage of Medicare’s benefits for these services, you must receive treatment from healthcare providers who are in Medicare’s network. There are over 800,000 providers nationwide and programs covered by Medicare can be found online. Be aware that Medicare requires the Medicare beneficiary to share in some of the costs of treatment. They are responsible for deductibles, coinsurance, and copays. However, individuals with Medicare supplement coverage may find that their plan covers some or all of their cost-sharing responsibility. 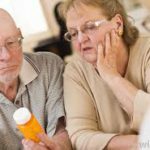 Often, elderly clients are unaware of their Medicare benefits for mental health and substance use problems. Spreading the word might help someone near you find the support they need. Danielle Kunkle is the co-founder of Boomer Benefits and is a licensed Medicare insurance agent in 47 states. She and her team of Medicare experts can be found at https://boomerbenefits.com. Thanks for this important perspective and information. As we age, there is a lot of built in denial reinforced by societal views on aging, the mental and physical decline so noticeable to those experiencing it, and more importantly, the feeling of a loss of purpose in one’s life. One of the biggest conditioning factors for late onset alcoholism is a retirement that wasn’t prepared for. You’d think we would have recognized this in western culture by now, and also through our extant knowledge of what drives addiction in general. The most potent recovery approaches all contain mechanisms for regaining purpose in one’s life. For prevention in our elder population, we should have mechanisms to maintain that sense of purpose throughout the lifespan. I agree. 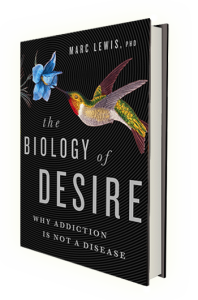 Lack of purpose and connection is probably a factor in many addictions – it’s only going to get worse in our modern, fragmented societies. Life is so hard, makes one feel so in touch with the sense of powerlessness and inability to do anything but yield, finding hope and meaning and a sense of purpose can be hard at any age but wow what a simple but informative view of the added complexity of ageing. Paints a picture of separateness and isolation and pushes at the existential angst of fear of death, nothingness and insignificance, very lonely indeed, easy to see where chemical or behaviours to distract really come into play. Thanks even if it’s somewhat sobering and anxiety provoking. and that fact alone can give people motivation and something to look forward to. Thanks, Carlton. Really good point, and Maia Szalavitz is a god. I also like your analogy to falling out of love. Very evocative. It feels good to read your guest post. You have very well described the health conditions and how Medicare helps in dealing with them. However, in the first priority, we should always try to maintain good health and fitness. Thank you for sharing this important information. I have been consuming drugs and alcohol for 45 years because I like the feeling they give me. People drink coffee for the same reason . Call me whatever you wish .